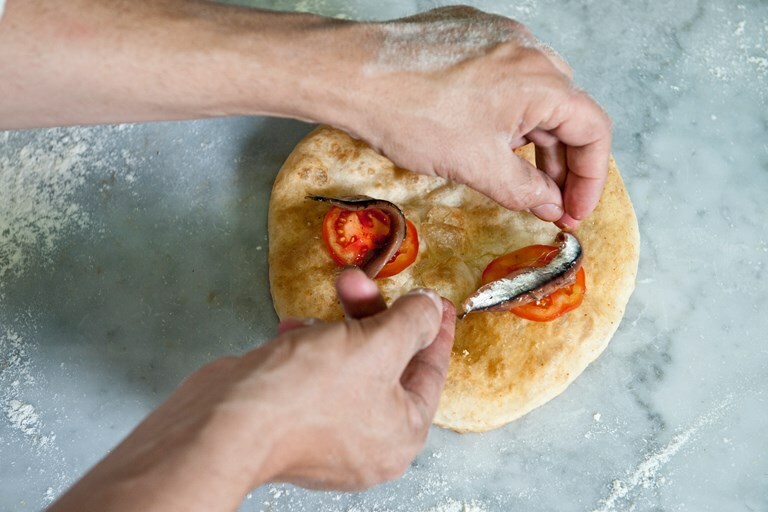 Dainty and delicious, this fried pizza recipe from Franco Pepe is topped with beautifully ripe tomatoes and anchovies. 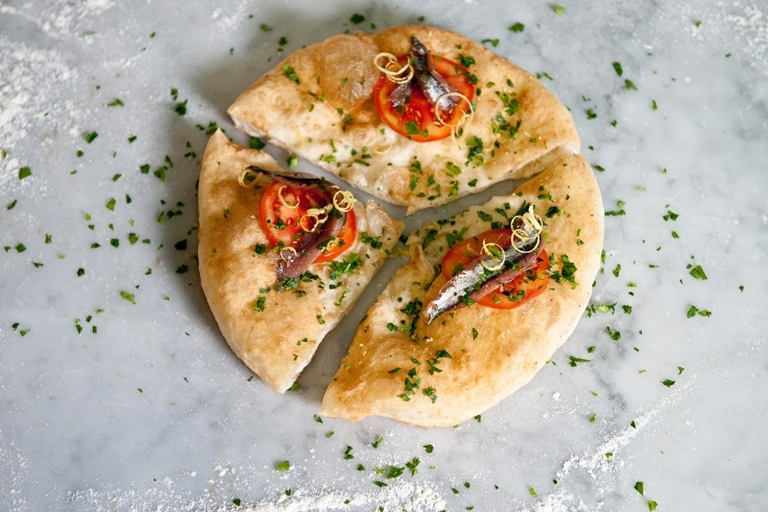 Depending on how hungry you are, you can serve one mini pizza each as a starter, or cut into smaller pieces to share around as a snack. Use Franco's pizza dough recipe for best results.